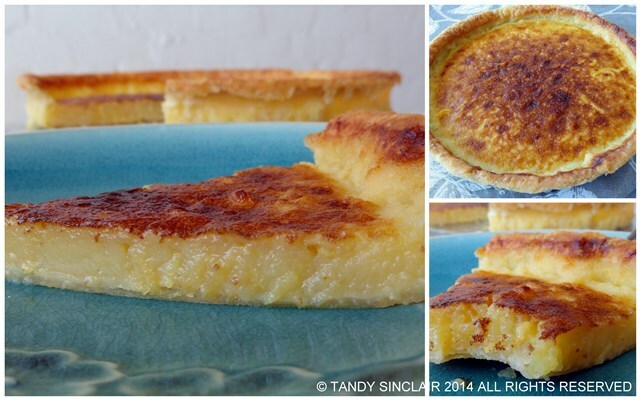 I have wanted to make a tart au citron (lemon tart) for quite some time, as I love the way it sounds. And it is something we often choose in France. Afternoon treats are always in order when on holiday. And after making this lemon tart I love the way it tastes. It is packed full of flavour and it you like a tart tart, then this one is for you. The lemon tart is easy to make and you can serve this for dessert after a heavy meal to end your dinner with something refreshing. Lemons are a staple ingredient in my fridge and I am hoping now that our garden is taking shape to plant a lemon tree very soon. I use mainly the zest of the lemons and then end up cutting what is left over into quarters or eighths and placing the pieces into the freezer to use instead of ice blocks. Citrus tarty goodness. I adore lemon desserts, something about them reminds me of afternoons in the kitchen with my Grams. You’ve inspired me to bake this tart on the weekend. Delish! I love citrus tarts, they’re so perfectly sweet and refreshing. Great job! What a lovely tart! Lemony sweet treats are my favorite. Wow – there aren’t many ingredients in that recipe are there? Good tip about pouring into the shell, already in the oven. Must remember that one. Your tart is good looking, Tandy! Excellent crust, with the right amount of brown. It looks soft and yummy and tasty. Thanks for sharing! This looks delicious Tandy, love sweet and tart desserts! How easy, 4 ingredients! Looks amazing Tandy! I love lemons… use them in cooking, desserts, smoothies – just about anything. And the zest – so, so good! It turned out perfectly – one of my very favourites! It does have quite a spring feel to it! Ha! So nice and lemony. I’ve never made lemon tart. Thanks!